In partnership with Ontario’s Principals’ Council, Corwin (a publisher of PreK–12 professional learning resources) organized a two-day institute around Visible Learning research. 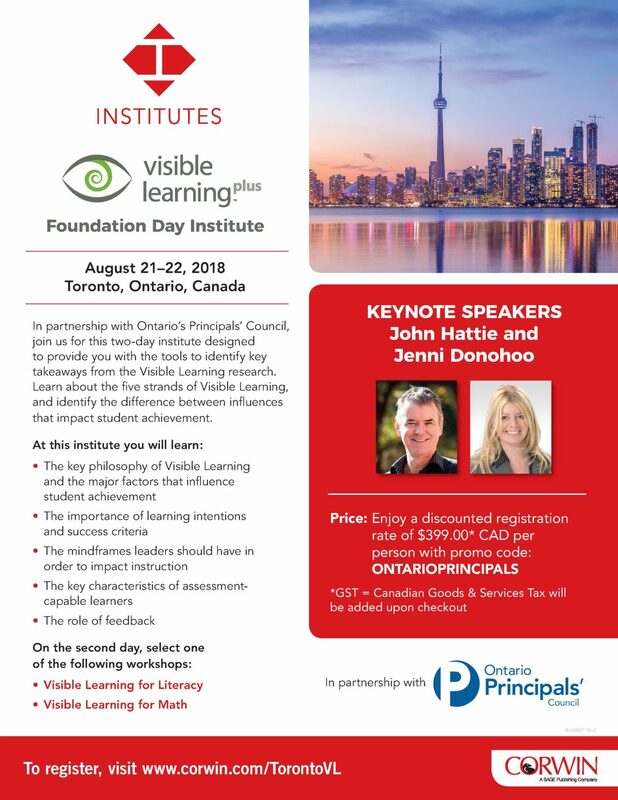 Keynotes John Hattie, Jenni Donohoo, John Almarode, and Olivia Amador-Valerio will contribute to professional learning about creating Visible Learning Schools. The second day is dedicated to Visible Learning Mathematics, when John Almarode will talk about what works best in the teaching and learning of mathematics and how to maximize learner growth and achievement. Participants will be actively engaged in doing mathematics during the session. 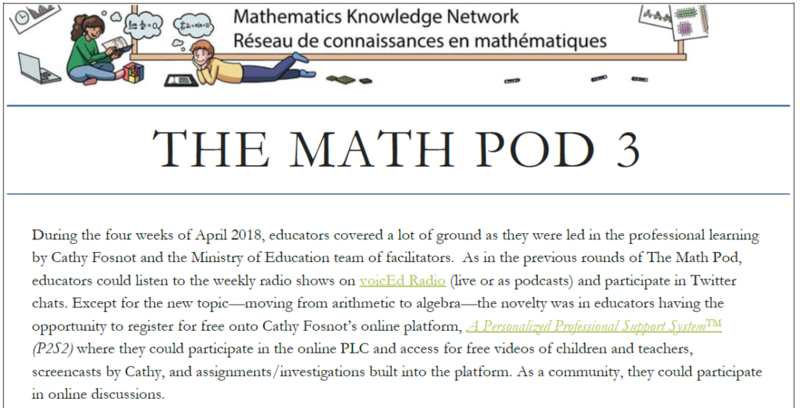 What happens when we use computational modelling as a tool to think-with and learn-with in elementary mathematics? 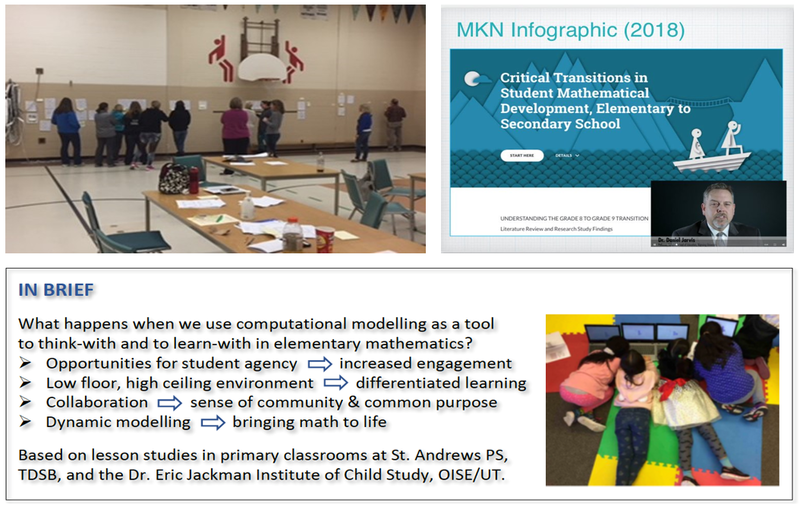 Find out in our new MKN White Paper: Computational Modelling in Elementary Mathematics Education! 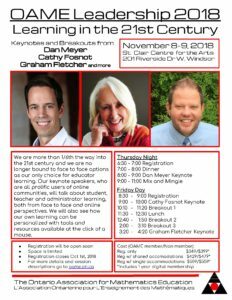 The Mathematics Leadership CoP and partners will be presenting twice at the upcoming OAME 2018 Leadership Conference. We look forward to engaging with attending educators from across Ontario and guests from the US! 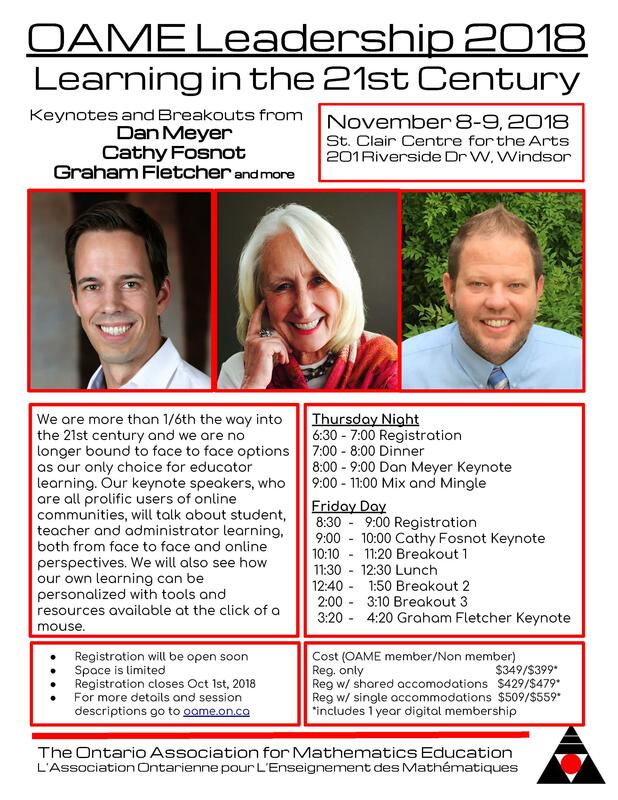 More information and session descriptions will be available soon on the OAME website.